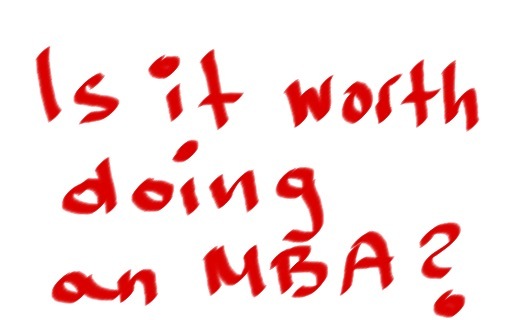 Is it worth doing an MBA? Well, I will give you an important fact that may help you decide: Out of the Fortune 500 CEOs about 200 have MBAs. Of course, the interpretation of this statistic may differ depending whether you are the type of person who sees the glass half-empty or half-full. In other words, you can say that just 200 of the Fortune 500 CEOs have MBAs or you can say as many as 200 have MBAs. In any way, this is a snapshot of the situation so far. In general though, you cannot prepare for the future based on what worked well in the past. So, let’s try to think how the labor market may change in the future and assess whether an MBA will be able to fit these needs. There will be a move from generalists to experts. It is not only me who says that. Lynda Gratton who teaches at the London Business School is a huge advocate of this trend. In order to differentiate yourself from the crowd, you should become an expert in a specific field. An MBA is a general degree that prepares students for management positions. Although, you can choose a concentration or choose a couple of electives in a specific area, you will not become an expert. If you want to acquire expertise, you need to consider doing a different degree. Your social network will be a very significant resource for you. The MBA is a great place to meet interesting people – classmates, professors and alumni. However, you will need to put time and effort to maintain this network after graduation. Otherwise, you will stay in contact with less than 10% (unfortunately they don’t warn you about this during your MBA). Life-long learning will be necessary. The good thing about doing an MBA is that you learn a bit about many things. So when you have to learn something new, you have the confidence to read a book, talk to somebody who knows the subject well, or join a course. Before you make a decision, consider carefully whether an MBA will help you achieve your SMART career goals. Note that the labor market is governed by simple economics. Everything depends on supply and demand dynamics. If you have similar skills to many other people, it will be difficult to differentiate yourself. In some cases, getting a specialized degree might be the best way forward. As for myself, headhunters are still calling me for my health economic expertise (not my MBA). The bottom line: Don’t follow the hype. Find out what academic credentials (if any) are needed to achieve your SMART career goals. Remember, the more specialized you become, the more employable you will be. Korina Karampela is the founder of b4iapply, author, consultant and speaker. She has an MBA from MIT Sloan and held senior positions in the pharmaceutical industry for 12 years. Her blog http://b4iapply.com is recommended by The Guardian for professional development. This entry was posted in b4iapply for an MBA, Career Advice, Higher Education, Link education with career, MBA applicants and tagged Fortune 500 CEOs, from generalists to experts, long-term career planning, Lynda Gratton, MBA applicants, MBA applications, Why an MBA?. Bookmark the permalink.